Let’s be honest, your roof wasn’t inspected in the spring, right? How about last year? Has it been inspected since it’s been installed? The roofing industry recommends that roofs are inspected twice a year: in the spring and right before the winter. We are consistent at maintaining our cars with oil changes and bodies with physicals, but what about the structure that protects your family every day? Regular roof maintenance can find and repair small problems before they become really big problems & can maximize the roof’s service life. 1. Get your roof inspected: Even if you do not see any damage looking at your roof from the ground, it doesn’t mean that your roof is OK. If your roof is 5 years or older, it doesn’t hurt to get everything checked out. You might have loose shingles, insufficient ventilation, and more. 2. Remove all debris after strong windows or heavy rain: Look for missing shingles, lifted shingles, displacement of fascia and sheet metal flashing. It’s always best to check things out and be safe. 3. Clean off your roof: Check for ice damming along your gutters and around roof drains. 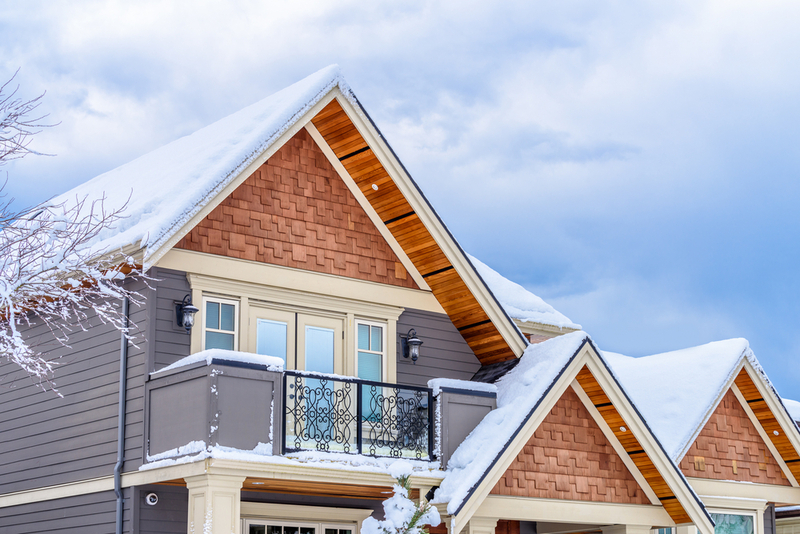 Frozen water and snow can cause damage to your roof and even your interior walls and ceilings. Although they are beautiful, icicles are dangerous and can cause some expense fixes. Remember: great contractors book up fast. Every year, we find a tremendous amount of homeowners calling us in February and March hoping to start their project in the spring/summer; and we are already booking until mid-July. This 30 second video on Owen Corning Roofing’s Sure Nail technology is awesome! For more information and help in finding a solution for your home remodeling needs, give us a call!